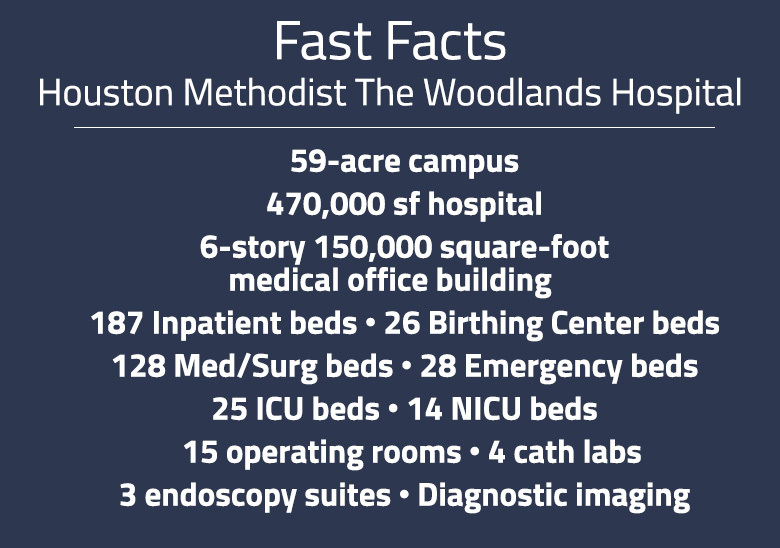 Houston Methodist The Woodlands Hospital opened on June 26, 2017 as the eighth hospital in the Houston Methodist system. This new 187-bed, 470,000-square-foot, full-service, acute care hospital offers many of the same services as our flagship hospital in the Texas Medical Center. Also on the $380 million hospital campus, located at the intersection of I-45 and TX 242, is a medical office building, which opened in March 2016. Medical Office Building 1 includes a breast care center, cancer center & infusion center, orthopedics & sports medicine, rehabilitation services, wellness services, and an outpatient laboratory, in addition to multi-specialty physician practices. A second medical office building and 785 car parking garage will open in 2018. A 380-slice CT that scans the body in 15 seconds. Operating room integration for education opportunities. Opening with Epic 2014 and enhanced documentation support: a computer, printer and scanner in every patient room. Distributed antenna system to ensure cellular service for physicians, patients and visitors throughout the facility. On-site employee fitness center, and health and wellness programs. Executive physician lounge, including fitness facilities. Artwork commissioned by local artists throughout hospital and landscaping. Personalized care navigation to ensure continuity of care. 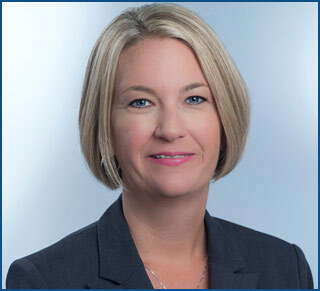 Houston Methodist The Woodlands Hospital is committed to supporting a vibrant, local community. Some examples of our commitment include: title sponsor of The Woodlands Half Marathon & Expo; presenting sponsor of the Texas 10 Series in Conroe, Huntsville and Katy; and sponsor of Oak Ridge High School and Conroe High School athletics - as well as support for numerous other community organizations.